Spotify has taken to moderating it's content based on "hate speech" and deleted several podcast episodes of Alex Jones, the founder of InfoWars. Spotify hasn't ever had the greatest press, many artists have come forward to accuse the platform of running their songs millions of times yet not paying them. Now, all of sudden they have a great moral conscience when it comes to that content they hardly pay for and have found Alex Jones conspiracy theory oriented podcasts in violation of their hate speech policy. A spokesman for the company said, "We take reports of hate content seriously and review any podcast episode or song that is flagged by our community. Spotify can confirm it has removed specific episodes of ‘The Alex Jones Show’ podcast for violating our hate content policy." As usual, when one of these left-wing tech companies gives someone the boot they fail to disclose exactly why or what exactly was deemed "hate speech". The story of the music streaming company's right-wing policing was broke by New York Times reporter Ben Sisario. Dozens of Jones' podcasts are still available for download, some dating back to June 2017. 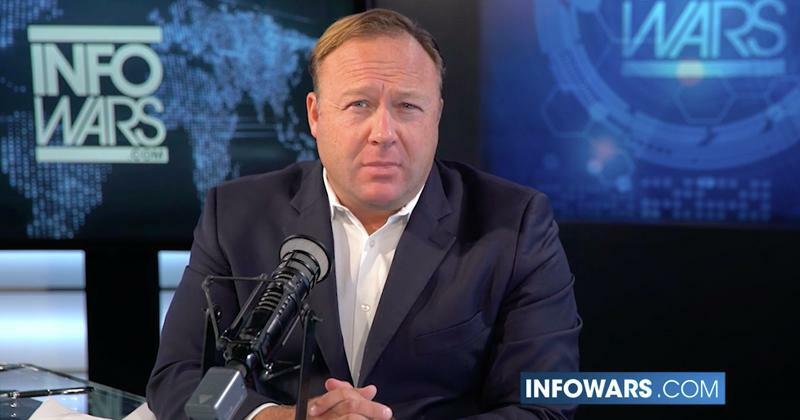 Jones has been in the hot seat himself quite a bit, especially for comments he made regarding the 2012 Sandy Hook Elementary School shooting which he called a hoax. He has found himself increasingly the target of Big Tech of late with YouTube taking down some of his videos last week. YouTube also claimed he was violating their community-standards guidelines along with Facebook who removed four videos and limited his ability to post. Spotify changed their policy in May to prohibit what it called "hate content" and banned artists the company has found guilty of engaging in "hateful conduct" from promoted playlists. Among the artists were R&B singer R. Kelly and Rappers XXXTentacion and Tay-K.
Less than a month later, Spotify reversed the police on "hateful conduct". Just weeks after the policy change, rapper XXXTentacion was killed by a gunman in an apparent robbery gone bad. The company seems to be split from within and Spotify's global head of creator services Troy Carter announced he will leave the company. Carter was strongly against the police against "hateful conduct". Clearly, a faction at the company is pushing for these so-called selective "policies" targeting "hate".